Find the best impact driver suited for the type of projects you take on, so you can drive screws quickly, easily, and without fatigue. When you’re putting together the tools for your workshop, you’ll inevitably purchase such basics as saws, drills, and sanders first. But if you’ll be tackling jobs requiring multiple screws—anything from building a bookcase to framing up a house—you’ll eventually want to add an impact driver to your tool collection. The trick to selecting the best impact driver is to get the right amount of power for the projects you tend to do most often. Impact drivers and drills look similar at a glance—and manufacturers often bundle them together in a single package—but each has its own purpose. Drill: Also called a drill/driver, this tool drives screws and also drills pilot holes, necessary when constructing with hardwoods, such as oak and ash. Drills accept drill bits and driver bits of different sizes, which adds to their versatility. 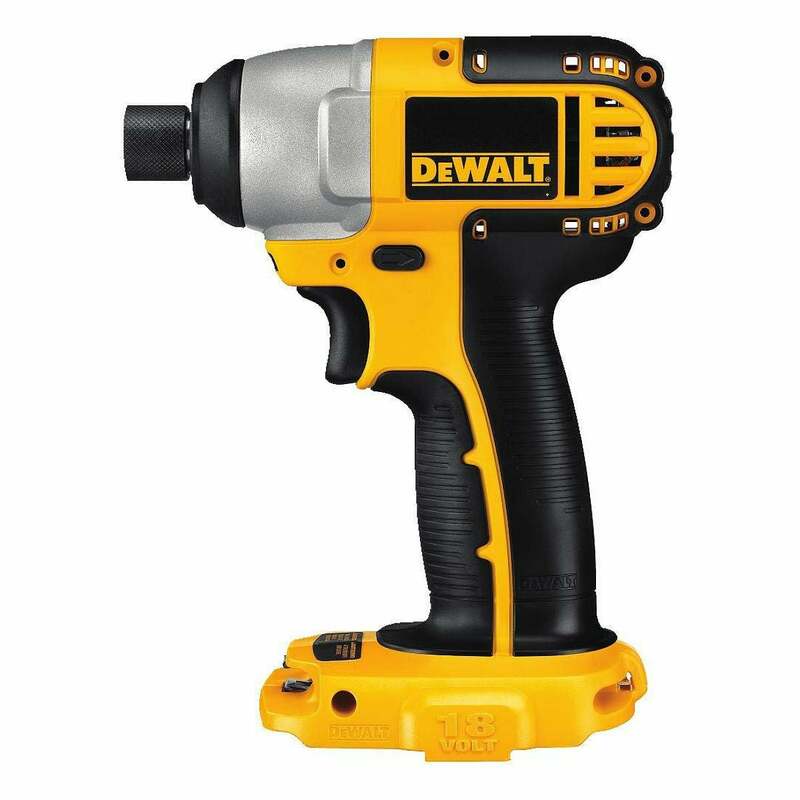 But it is typically larger and heavier than an impact driver, and even the best drill can’t deliver quite as much power. 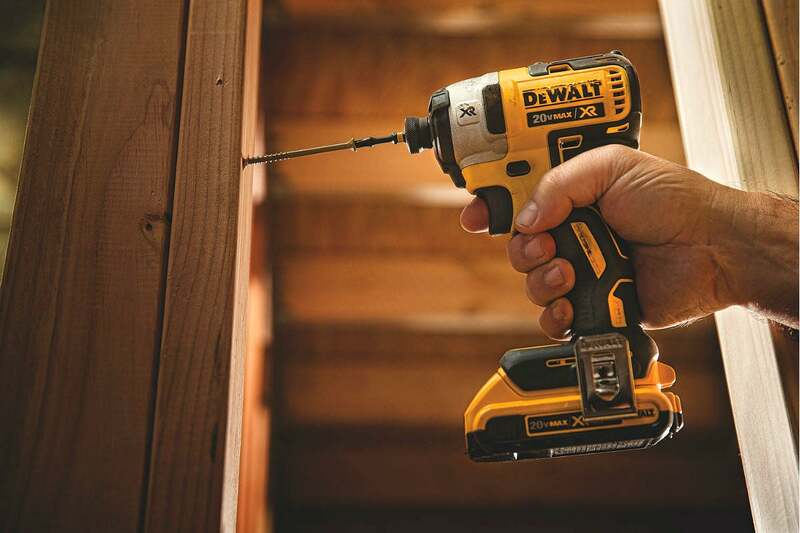 Impact driver: This handy little dynamo is designed to one thing: drive screws. Like a drill, it uses rotational force to drive screws into wood, but unlike the smooth rotation of a drill, an impact driver uses rotational hammering, which is more effective at driving a screw without stripping out the head of the screw. Likewise, an impact driver is often better at removing screws without stripping out the heads. Impact drivers do not accept the same bits used in drills; rather, they accept only impact bits with ¼-inch hexagonal heads (called “shanks”). Plus, rotational hammering is loud; users should wear appropriate hearing protection during operation. Torque: This is the amount of “twisting power” an impact driver offers, and it determines how well the tool will perform. The higher the torque (measured in inch-pounds), the more twisting power. A small impact driver with 800 inch-pounds of torque is sufficient for driving screws in a workshop setting, while an impact driver with 2,000 inch-pounds of torque is better suited for driving multiple large screws, such as those used to construct the frame of a house. Battery: Cordless impact drivers run on rechargeable batteries in 12-volt, 18-volt, and 20-volt capacities. The higher the capacity, the longer the battery life and the more power the driver will generate. The highest battery capacity (20-volt) is usually reserved for contractor-quality drivers. For DIY use, 12-volts is usually more than enough. Manufacturers often design power tools with interchangeable batteries, so you can save money by using the same battery for different tools. 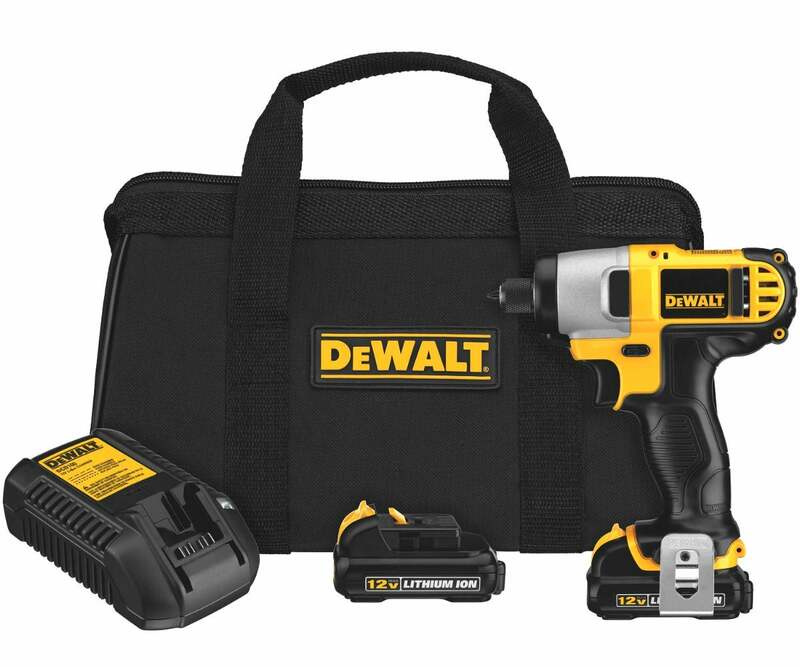 For example, if you already have a 12-volt DEWALT drill, you can buy a 12-volt DEWALT impact driver and use the same rechargeable battery for both. For this reason, impact drivers are often sold without a battery. Weight: Impact drivers are smaller and lighter than drills, which allows you to drive multiple screws without developing hand or arm fatigue. That’s particularly important when inserting screws overhead, such as when hanging drywall, where a regular drill is bound to quickly feel cumbersome and heavy. The smaller size also lets you fit the driver into tight spots where a larger drill couldn’t go. One of the following power tools is sure to be the best impact driver for your needs. Each of the recommendations has earned a reputation for excellent performance, durability, and ease of use. A good choice for the home DIYer, the DEWALT 12-V Impact Driver features a maximum of 1,400 inch-pounds of torque and weighs just 2.3 pounds. It comes with two rechargeable 12-volt batteries, a charger, and a carrying case. Directional LED lighting lets you see in dimly lit spots. Amazon buyers give the DEWALT impact driver 4.7 out of five stars for power, reliability, and long battery life (up to two hours of solid use). 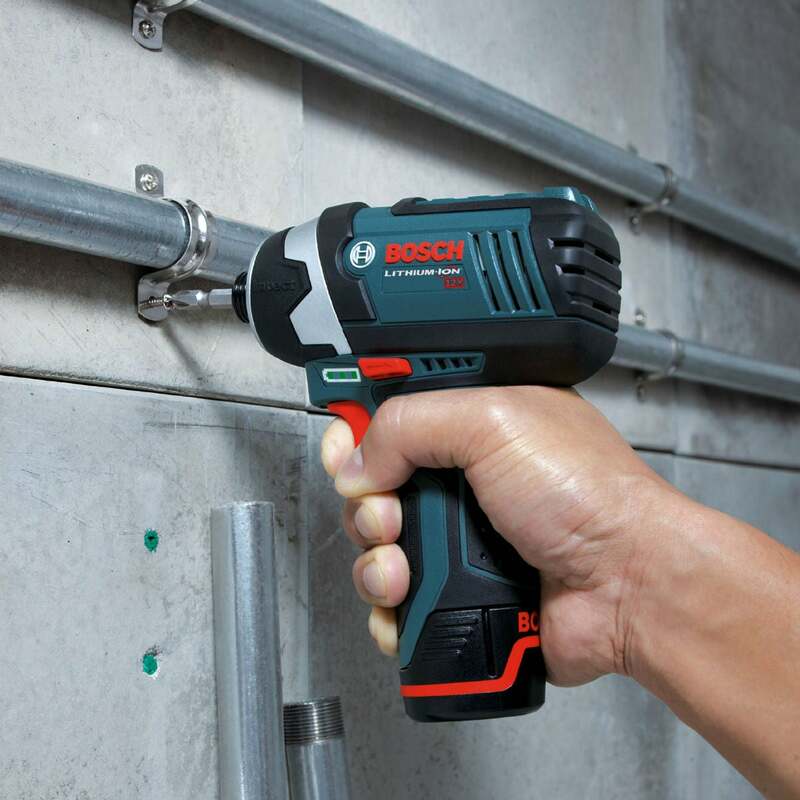 With 930 inch-pounds of torque, the Bosch 12-volt Impact Driver is perfect for workshop projects and around-the-house DIY tasks. It weighs merely 2.1 pounds but lives up to its reputation as a workhorse. Amazon buyers give it a hearty 4.6 out of five stars for its fuel gauge (you can see remaining battery life) and its ability to reach into tight spots to insert or remove screws. It comes with two rechargeable batteries, a charger, two screwdriver bits, and a carrying case. The Milwaukee M12 12-V Impact Driver is top in its class of 12-volt drivers, winning a resounding 4.8 out of five stars from Amazon customers. With a soft rubber grip, and weighing in at only 1.8 pounds, this driver is super lightweight and comfortable to hold. It has a maximum of 1,300 inch-pounds of torque and is well-suited for DIY construction and remodeling projects. 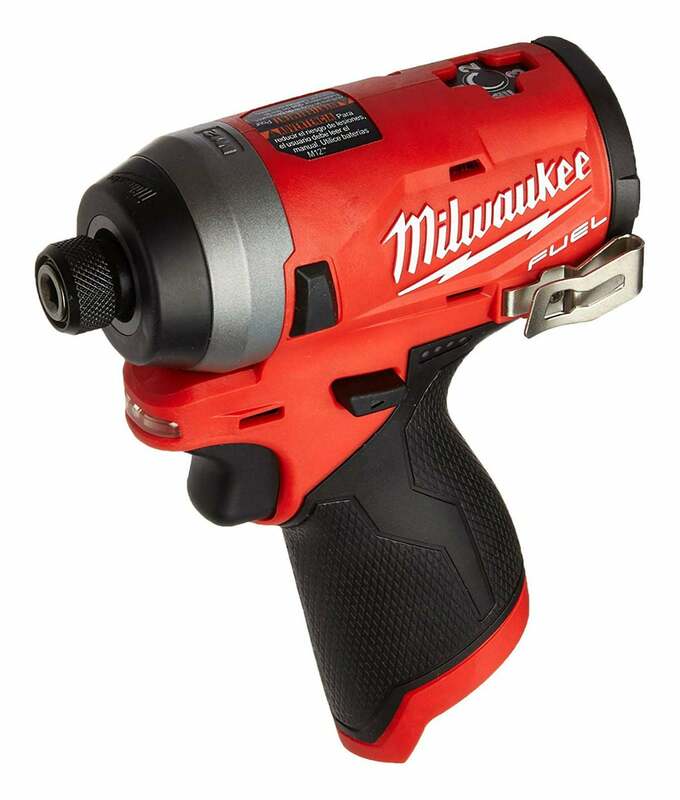 If you already own a 12-volt Milwaukee drill, you can share the battery for the impact driver; if not you’ll need to purchase a separate battery (also available on Amazon). The DEWALT 18-volt Impact Driver offers 1,330 inch-pounds of maximum torque, plenty of power for tough DIY jobs like building a deck or shed. In fact, while this 2.2-pound driver with an ergonomic, anti-slip comfort grip can drive long screws into thick wood, Amazon buyers, who award it 4.7 out of five stars, feel it might be a bit too powerful for furniture building and other fine woodworking projects. If you don’t have an 18-volt DEWALT battery, you can purchase a 2-pack on Amazon. 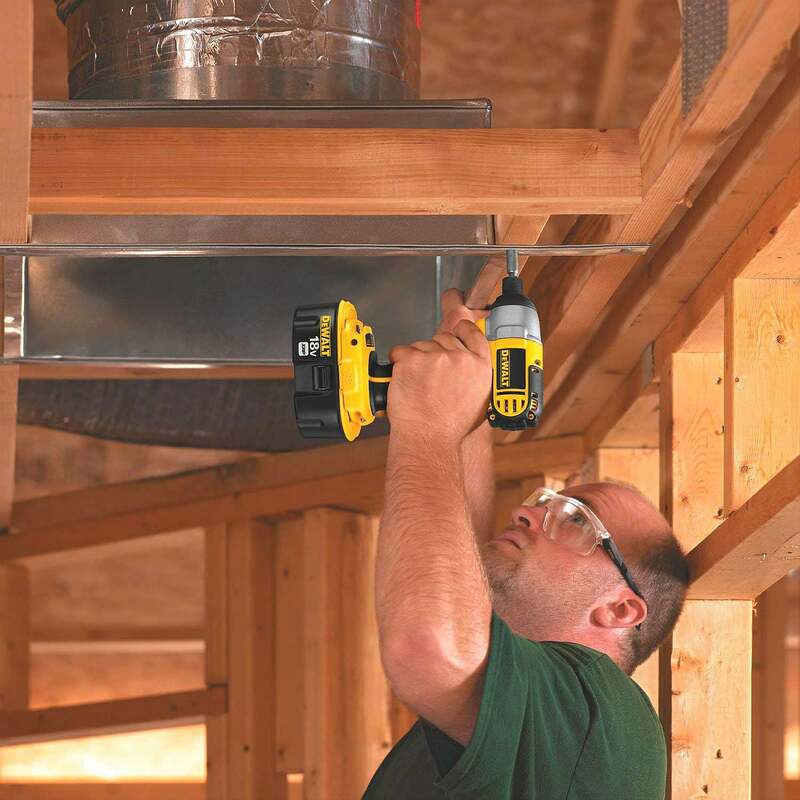 When you need enough power to build a house, turn to the DEWALT 20-V 3-Speed Impact Driver. It features LED lighting and three separates speeds, including a precision speed, which dampers its powerful motor for when you need a lighter touch. This impact driver isn’t for small workshop projects; it’s designed for residential construction and remodeling. Weighing in at seven pounds and featuring 2,000 inch-pounds of torque, this impact driver is the heaviest and most powerful of the bunch. For durability and sheer power, Amazon buyers award this 20-volt impact driver 4.7 out of five stars. It comes with a carrying case, a charger, and two rechargeable batteries.